Casting call for new SyFy show Future Cult Classic. The show is filming the pilot in the Atlanta area and they are currently casting paid extras for the show. Atlanta’s CAB casting seems to be handling extras casting and the background actors needed are listed below. According to Deadline, Emily Alyn Lind (Code Black) is set to star in the show which is also described as having an ensemble cast. 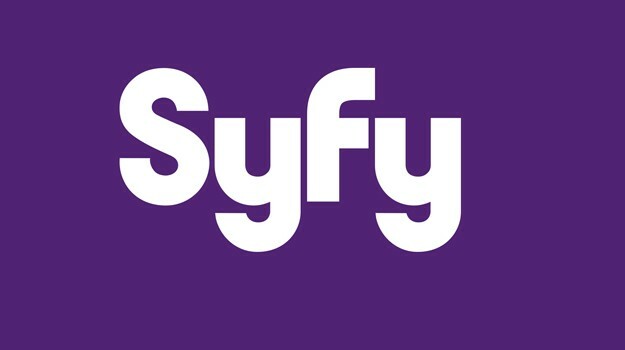 Syfy’s new series (maybe, just a pilot now) is described as a dark comedy and since this is a syfy show, there are probably some science fiction injected into the story. (Future) Cult Classic comes from Shay Hatten, Lorne Michaels and Universal Content Productions. Also, according to the Deadline story, the show is written by Shay Hatten as well. (Future) Cult Classic seems to be a take on high school slasher films… with a more than a pinch of satire. Set almost 2 decades in the future, it focuses on teens who run into a serial killer who is obsessed with teen slasher films from the 1990’s. In the center of this is the character played by Alyn Lind. Lind will play a teen who feels trapped in the wrong time. CAB Castings, LLC. is looking for PAID EXTRAS of ALL RACES for our next project, SYFY Networks new pilot “FUTURE CULT CLASSIC” filming in Georgia. (Future) Cult Classic combines the genres of slasher films, high school drama, and speculative satire. It is set 18 years in the future, and centers on a group of teens whose community is rocked by a 1990s slasher-movie obsessed serial killer. (Future) Cult Classic stars Code Black alumna Emily Alyn Lind, Jacob McCarthy, Cayden Boyd (Heathers), Da’Vinchi/aka Abraham Juste (Grown-ish), former The Quad star Zoe Renee and many more! PLEASE HAVE AN OPEN SCHEDULE FOR THESE DAYS. WE ASK THAT YOU BE PREPARED FOR 12HR WORK DAYS SO PLEASE HAVE OPEN AVAILABILITY! Paid Extra roles will be picture picked by CAB Castings and producers so please keep that in mind when submitting. PLEASE MAKE SURE YOUR PHOTOS ARE APPROPRIATE AND OF QUALITY TO BE CHOSEN. – DO YOU LIVE IN ATLANTA, GA? NOW CASTING MODELS FOR NEW PROJECT on 4/2/19. CAB Castings, LLC. is looking for PAID EXTRAS (AGES 18 to 35) to be a part of our new project filming here in Atlanta, GA.
* Will be asked to make a fitting THIS WEDNESDAY 3/20/19 BETWEEN THE TIMES OF 9AM to 5PM. The rate for THESE PARTICULAR MODEL EXTRAS is $200/12hrs of work which you will receive in the form of a check in the mail 2 to 3 weeks after filming.